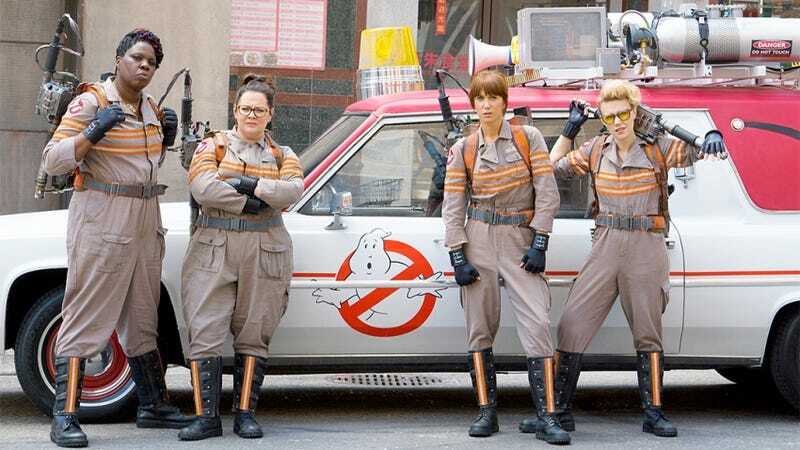 Speaking on Britain’s Sunday Brunch (as shared by Ross Maclean on Twitter), Aykroyd was asked about Sony’s all-female Ghostbusters reboot, which under-performed at the box office and will likely not get a sequel. Aykroyd was quick to sing praises about the film’s cast, as he has in the past, but did not mince words about Paul Feig, the film’s director. According to Aykroyd, Feig’s inability to listen to feedback led to Sony having to order a series of reshoots, costing the studio up to $40-million in the process. We do know there were some reshoots, but it’s unclear how much they actually cost or what changes Sony was demanding Feig make. The studio could’ve been attempting to amp up the action sequences or sharpen dialogue, but it’s also possible they wanted more references to the original— which was actually one of its biggest problems. One of the main complaints about the film was how some of the scenes and gags relied too heavily on paying tribute to nostalgic moments from the original film, instead of letting the film succeed on its own. In spite of his rant about Feig (which was reportedly removed in a re-airing of the episode), Aykroyd did say he was happy with the film overall, and loved the lead actresses who took on the iconic roles. According to him, the main problem was money. Update, 6/5: Sony has responded to Aykroyd’s comments. In a statement to Deadline, Sony explained that the reshoots were $3-4 million, not $30-40 million.